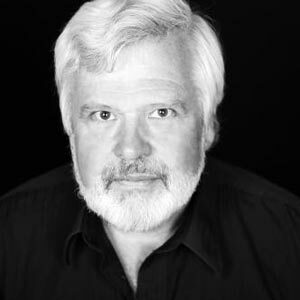 Michael Fields is a founding member and Producing Artistic Director of the Dell’Arte Company. As a member of the Dell’Arte performing ensemble for the past 30 years, he has been a recipient of San Francisco and San Diego Critics Circle and Los Angeles Drama-Logue awards for Performance and Writing. He has co-authored and performed in over 25 Dell’Arte productions, including Mad Love, Slapstick, Intrigue at Ah-pah, Whiteman Meet Bigfoot, Paradise Lost, Performance Anxiety, Malpraticeand Wild Card.…He is also Chair of the California State Summer School for the Arts Theatre Program. A master teacher of Physical Performance Styles at the Dell’Arte International School of Physical Theatre, Michael has also taught for the Dutch National Theatre School; the California Institute of the Arts; Teater Studion in Stockholm, Sweden and at the Aarhus University Dramaturgi Institute in Denmark. Michael was a member of the Board of Directors of Theatre Communications Group (TCG) from 1998 – 2004 where he served as the president of the International Theatre Institute/USA. He was an invited guest speaker at the first International Mask Conference in Venlo, Holland, with Dario Fo, Donato Sartori and Jacques Lecoq and has had articles published in a variety of national and international publications including Critical Perspectives, Writings on Art and Civic Dialogue. Michael was a recent recipient of a grant from the James Irvine Foundation for Leadership Advancement. Michael’s TEDx talk on the necessity of laughter. Watch it here.